Visitor Management System for Only $248! Comments Off on Visitor Management System for Only $248! 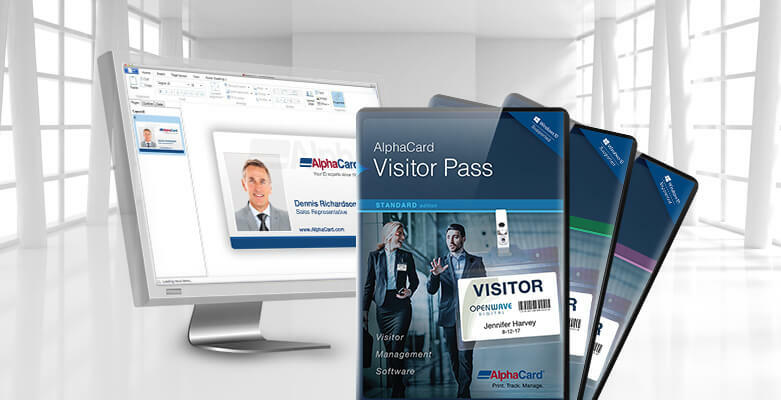 AlphaCard has added new visitor ID solutions from TEMPbadge, including a kit for schools, reusable badges for contractors and two general use badges. Did you know AlphaCard carries a full selection of time-expiring badges that can help you run a more effective visitor management system? These low-cost temporary badges are super simple to use and come in a variety of styles. Most include a special pattern that fades over a certain amount of time. This makes it easy for you to spot visitors and quickly see whether or not their badge is current. Visitor management is one of the most effective ways you can increase safety in and around your facilities. By controlling access at the point of entry, you can keep a thorough record of all those who come and go throughout the day. In the days of yore, most visitor management systems consisted of nothing more than a ball-point pen and a sign-in sheet. But now you have much more sophisticated and effective options at your disposal, including AlphaTrack visitor management software, a powerful platform that provides tools for secure badge design, employee and visitor tracking, access control, and for producing detailed logs and reports.